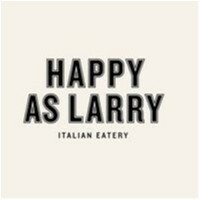 Happy As Larry joined our Mission to help provide access to “Clean Water for All by 2030”. This Mission was initiated by the United Nations. A big thank you to Happy As Larry’s team and customers for joining this extremely important mission on 05 February 2018. "Couldn't fault this place. Delicious food (i had the marinara pasta) and excellent service. It was a great relaxed atmosphere even on a quiet night. I can imagine it would be nice even when it got busier."